He's back. Former President Nicolas Sarkozy is back with a bang. Or more accurately, he's back with a campaigning speech. His campaigning speech in Le Touquet over the weekend had all the characteristics of his previous bravura performances. Because that's the hallmark of a Sarkozy speech. So, plenty of rhetoric, great body language and a powerful delivery. 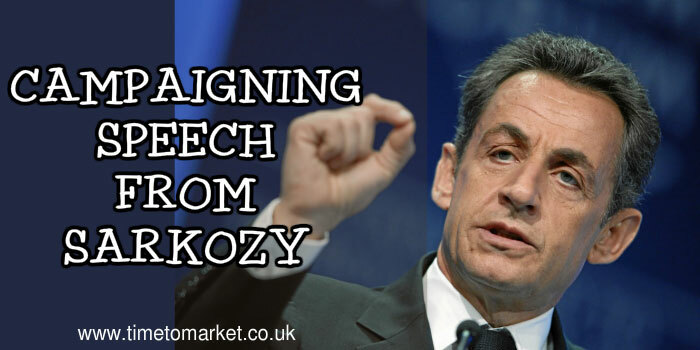 It's what you would expect from a seasoned campaigner like Mr Sarkozy. And although the elections aren't due to take place until March and April next year, he's fully on the campaign trail. "The ‘Jungle’ should not be in Calais. It is perfectly normal for us to control our borders." In Le Touquet he chose a delightful resort town brimming with Parisians making the most of their summer holidays on the beach. But it's also the town that gave its name to the Le Touquet Treaty; the agreement that's behind the immigration arrangements between the United Kingdom and France at the Channel ports. More poetically of course, it was Mr Sarkozy who signed the Treaty in 2003 when he was France's Interior Minister. And the essence of his campaigning speech? First, scrap the Le Touquet Treaty. Second, scrap the immigration arrangements at the Channel ports and thirdly, rid France of the Calais "Jungle." So, it's that simple. I’m asking for the opening of a centre in England to process asylum requests for all those who are in Calais, so that the English do the work that concerns them. The ‘Jungle’ should not be in Calais. It is perfectly normal for us to control our borders. The jungle should not be in Calais or anywhere else, because this is a republic and those with no rights to be here should return to their country." Confused? Well, it could be the translation. Still, we can expect the matter of the Le Touquet Treaty to run and run until France's Presidential elections are held next year. But, in the meantime there will more and more campaigning speeches and Le Touquet is going to feature heavily. 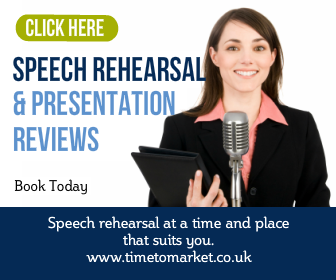 Do you need to practise a campaigning speech or a conference speech? If so, why don't you consider a skills refresher. 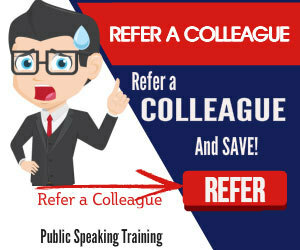 Since this is a half-day public speaking skills coaching session, you can keep your focus on both your speech and work at hand. You can always call us to discuss further.